Sometimes on a dark night near the poles, the sky pulses a diffuse glow of green, purple and red. Unlike the long, shimmering veils of typical auroral displays, these pulsating auroras are much dimmer and less common. While scientists have long known auroras to be associated with solar activity, the precise mechanism of pulsating auroras was unknown. 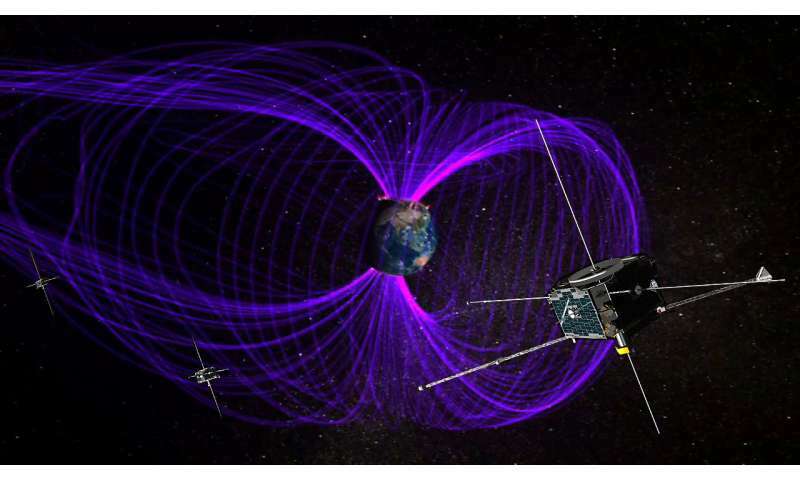 Now, new research, using data from NASA's Time History of Events and Macroscale Interactions during Substorms—or THEMIS—mission and Japan's Exploration of energization and Radiation in Geospace—shortened to ERG, or also known as Arase—satellite, has finally captured the missing link thought responsible for these auroras. The answer lies in chirping waves that rhythmically pulse the particles that create the auroras. 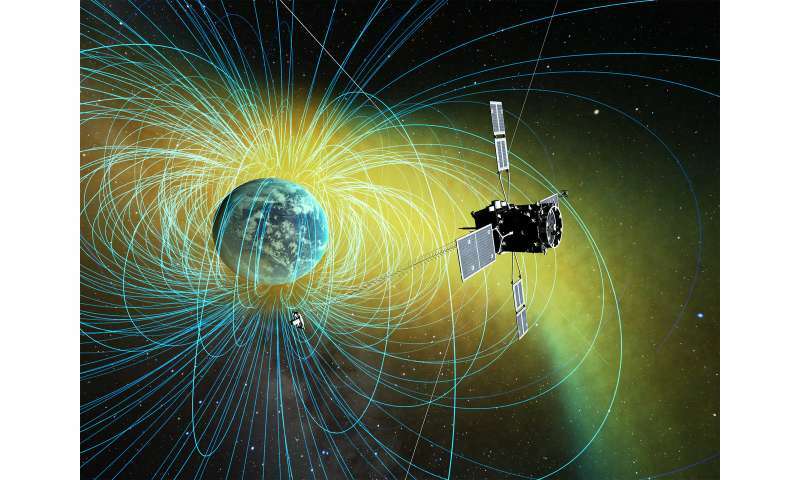 Earth's magnetic bubble—the magnetosphere—protects the planet from high-energy radiation coming from the Sun and interstellar space, but during particularly strong solar events, particles can slip through. 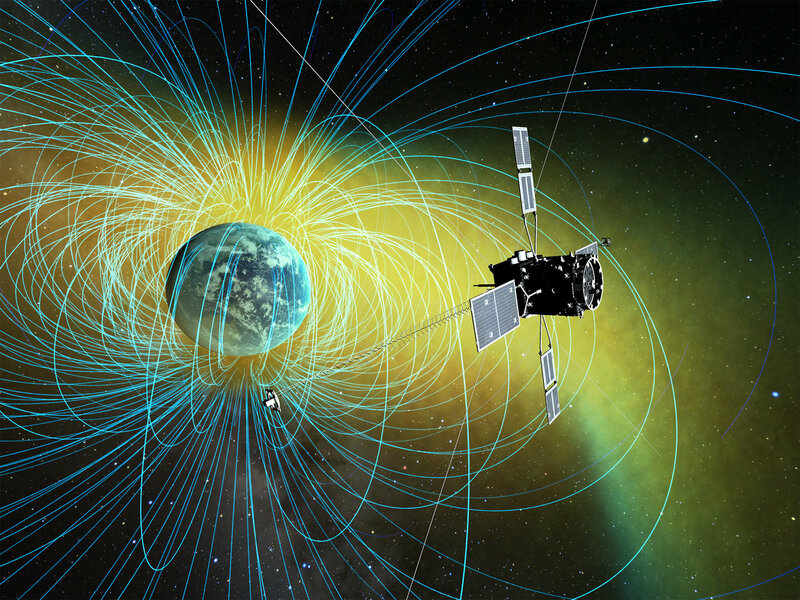 Once inside, the particles and the energy they carry are stored on the nightside of the magnetosphere, until an event, known as a substorm, releases the energy. The electrons are then sent speeding down into Earth's upper atmosphere where they collide with the other particles and produce the characteristic glow. Pulsating auroras, however, have a slightly different cause. 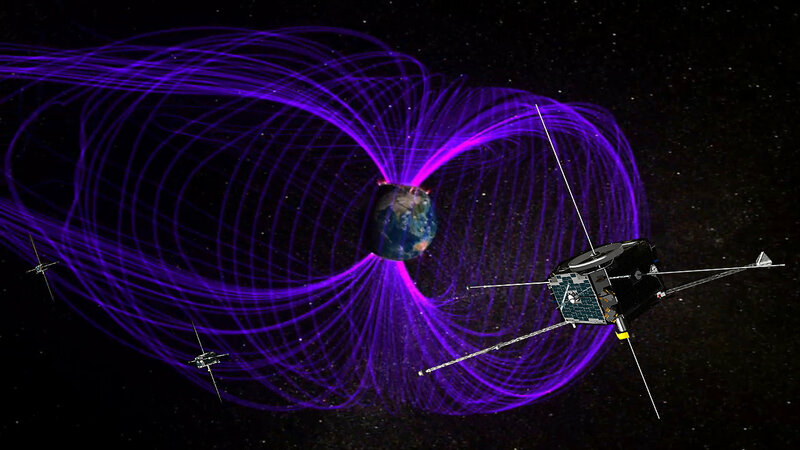 The magnetosphere is home to a type of plasma wave known as whistler mode chorus. These waves have characteristic rising tones—reminiscent of the sounds of chirping birds—and are able to efficiently disturb the electrons. When these waves make their appearance within the magnetosphere, some of the electrons scattered by the wave careen down into Earth's atmosphere, causing the pulsating auroras. While scientists have long believed this mechanism to be responsible for pulsating auroras, they had no definitive proof until now. The multipoint observations from the ERG satellite and ground-based all-sky cameras from the THEMIS mission allowed scientists to pinpoint the cause and effect, seeing the event from start to end. The results were published in the journal Nature. Research done with NASA's ground-based camera and Japan's spacecraft in the near-Earth laboratory has applications further afield. Chorus waves have been observed around other planets in the solar system, including Jupiter and Saturn. Likely, the processes observed around Earth can help explain auroral features on these gas giants as well as on planets around other stars. The results also help scientists better understand how plasma waves can influence electrons—something that occurs in processes across the universe.